WordPress is one of the most popular CMS systems out there. Millions of businesses rely on WordPress for website design and development. But there is still a lot of questions about WordPress. In this article, we’re going to take a look at two sides of WordPress: WordPress. com and WordPress.org. We’ll explore the differences between the two, and see which one is better. WordPress.com is a platform that allows you to create and run your blog. WordPress.org is an open source software. It’s a complex combination of code that you download and install on your web server. WordPress.org doesn’t offer free hosting. You’ll have to find a separate hosting provider and pay for the hosting. WordPress.com, on the other hand, comes with free hosting and 3Gb of website space. WordPress.com gives you a free subdomain, under the WordPress domain. WordPress.org doesn’t offer any type of a domain, and you’ll have to purchase the domain separately. Security is handled by the host at WordPress.com. At WordPress.org you’ll have to take care of your own security by installing plugins that allow for regular backups. WordPress.com is entirely handled by the WordPress team. This means that if something happens to your site the support team will help you deal with the issue. This also means that you aren’t in control of your site. WordPress.com offers more freedom when it comes to managing your site. You’ll be able to resolve most of the issues yourself in a shorter period. At WordPress.org you have an almost unlimited choice of themes and customization options. You can choose a ready-made theme, or create your custom theme. WordPress.com also offers a range of themes to chose from. However, the choice is very limited, and for the most part, once you install the theme, you can’t change anything. WordPress. com has a limited number of features available. And it doesn’t allow you to install third-party plugins to improve the experience on your site. 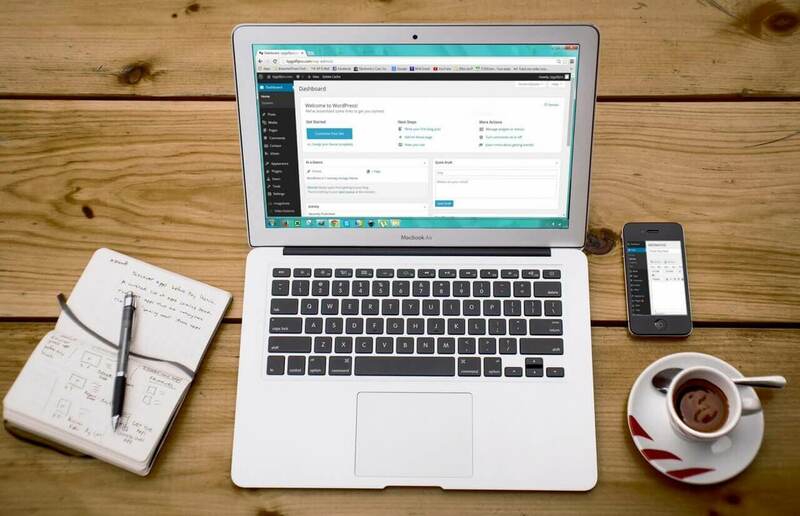 WordPress.org allows for both WordPress and third-party plugins so you can create a website that responds to your customer needs and is easier to manage. WordPress.com is essentially free, and if you want to have some customization options, you can upgrade the plan. WordPress.org is free too, but you pay for a domain name and hosting. If you chose a custom theme at WordPress.org, you’d also have to spend some money. When you want to customize your site just a tiny bit, having a website on WordPress.com can become your biggest hurdle. WordPress.org offers plenty of customization options plus the cost of hosting and domain name are very cheap, so it’s clear that you’ll get more value out of WordPress.org. As mentioned earlier, WordPress.org is focused on giving you as many customization options as possible. Additionally, this CMS is a free and open source, which means that it’s evolving very quickly and there is no need to pay exorbitant fees. WordPress.org also gives you full control over your site. Change the appearance, install plugins, make a homepage different from the blog – with WordPress.org it is easy to build a unique, beautiful website. Lastly, a plethora of developers choose to base their creations – themes and plugins – on WordPress.org, so you’ll have access to work created by some of the best web design and development professionals. You only need 5 minutes to set up a website on WordPress.com. You just sign up, and you’re good to go. WordPress.org has an onerous installation process, though some hosting providers make it very easy and offer a one-click installation. WordPress.com is a perfect platform for someone just starting a blog or a personal website. If you don’t want to get into details of web development, and technical matters give you a headache, then WordPress.com is a perfect newbie website owner tool. As mentioned earlier, WordPress.com is supported by the WordPress team, so all the updates and backups are done on the support side – you don’t have to do anything. Lastly, price is an important point of consideration. Even though WordPress.com can get pricey very quickly, the basic version is still free, and if you need a simple website, you would not have to pay a cent. If you still can’t decide between WordPress.org and WordPress.com consider your future business plans. Are you running a personal blog just for yourself without any plans for expansion? Do you see yourself creating a business out of your blog? How important are visual elements to you and would you prefer to have a unique site or something visitors have already seen online? These are the questions to consider. Additionally, you should know that WordPress.org is considered to be the “real WordPress” so whenever a developer or designer talks about WordPress, they are probably discussing WordPress.org. Another important thing to mention is that WordPress.com can place ads on your site without your permission. You’re also not allowed to run your ads on WordPress.com or use Google Analytics. The “powered by WordPress.com” link will also appear on your site in the free version. The downsides of WordPress.org is the time needed to install and support your site. You’ll have to pay attention to updates, security, and compatibility of plugins. The most significant advantage of WordPress.org is the availability of various free, custom and premium themes. There are millions of themes available these days, and if you want to have access to the best premium themes on the market, you have to go with WordPress.org. If you got to this part of the article, you should have already made the final decision between WordPress.org and WordPress.com. But if you are still in doubts here is a simple trick you can use. You can start a website at WordPress.com and then transfer the files to WordPress.org. This is a simple procedure that doesn’t require much effort but will allow you to experiences the benefits of both systems. In simple terms, using WordPress.com is like renting a room, and WordPress.org is your own house. The freedom you get from customization options and the sense of security following the reputation of the platform overweighs all the drawbacks of the system. Plus once you install WordPress and customize your theme, only small tweaks and updates are necessary, and all the investments you make in the starting phase will undoubtedly pay off.